– Soak rice and tuver dal together in water for around an hour. – Heat ghee in pressure-cooker and add cumin-mustard seeds with hing. 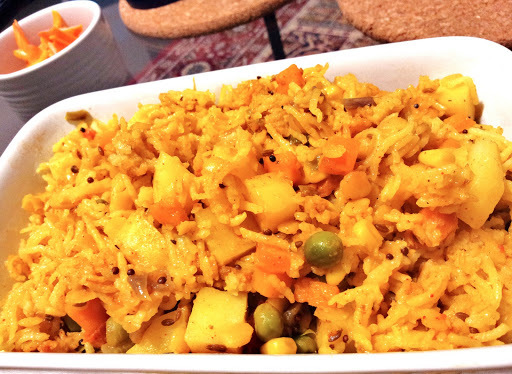 – Once it splutters, add all potatoes, onions, veggies, ginger-garlic paste and green peas. Mix everything well and cook it for a min. 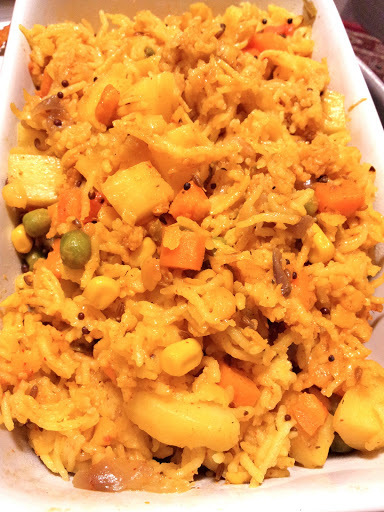 – Add soaked rice-tuver dal in it with around 2 cups of water and stir everything once. – Pressure-cook it for 4 whistles and let it cool down for 10 mins before opening the lid.